UPD for April 2nd: According to the report of Changelly security department, on April 2nd the total number of intercepted and holden funds from hackers equal to 121 000 EOS (~555 390 in US Dollars), and 210 000 XRP (~69 300 in US Dollars). To this date, the total number of the blacklisted addresses equals 134 addresses. 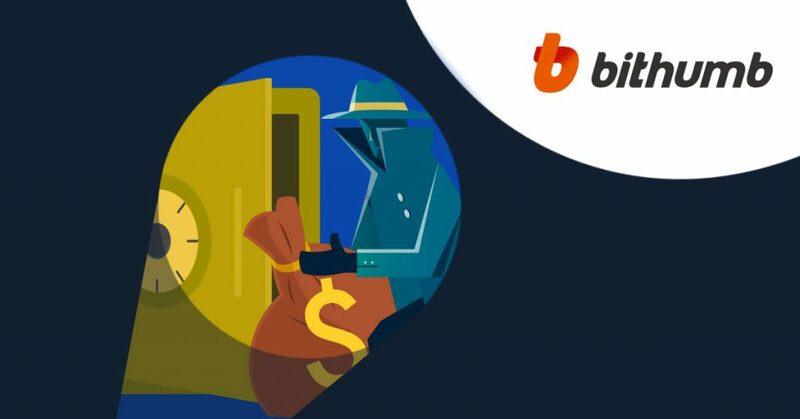 The cryptocurrency exchange Bithumb has been hacked for the second time during the last year. Multiple journalists report that $13 Million in EOS and 20 Million XRP currently is in the circulation. As some of the vigilant crypto enthusiasts could trace it, a part of thе stolen money has been moved towards Changelly service. While being in touch with Bithumb and other biggest crypto exchanges, Changelly was able to determine the part of the compromised funds in 8 transactions totaling 210 000 XRP (~69 300 in US dollars) and 50 transactions totaling 114 000 EOS (~479 000 in US Dollars). All of them are put on hold until the situation will be resolved. The wallet addresses used in the suspicious moves have been blacklisted. ”Changelly profoundly cares about our users’ security and the healthy crypto environment. Fortunately, we are armed with the risk scoring system that identifies suspicious transactions, so we’re ready to identify scammers and fraudulent activities immediately. We will be sharing the information as it comes. Our security team keeps an eye on the situation, being ready to take all the necessary actions,” said Sophia Lee, Changelly CSO. Changelly is a non-custodial instant cryptocurrency exchange, which means that no users’ funds are stored with the service. Changelly acts as an intermediary between crypto exchanges and users, offering access to 140+ cryptocurrencies. The company mission is to make the exchange process effortless and secured for everyone who wants to invest in cryptocurrency. Operating since 2015, the platform and its mobile app attract over a million users monthly who enjoy high limits, fast transactions, and 24/7 live support. Changelly offers its API and a customizable payment widget to any crypto service that wishes to broaden its audience and implement new exchange options. Dozens of crypto businesses already use Changelly API which empowers their functionality with the instant swap feature. Changelly partners with MyEtherWallet, Exodus, Binance, BRD, Lumi wallet, Edge, Freewallet, Coinomi, Trezor, Ledger, Enjin, Coinpayments, Huobi Wallet and other well-known players in the crypto industry.